Specially designed for the day sailor, these winch handles are ideal for small to medium size yachts. All handles feature an extruded aluminium drive lug for long life, and locking models utilise an aluminium locking plate for durability. The patented 2-piece welded design provides excellent strength, rigidity and durability. With low friction and comfortable hand grips these handles are the perfect addition to your yacht’s inventory. 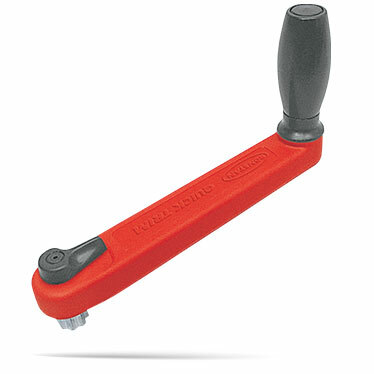 Moulded with highly visible red handles, they are easy to find amongst control lines and sheets. These lightweight handles won’t damage or chip your gelcoat when dropped. The fully serviceable locking mechanism (with service kits available) ensure these handles will last.